Probably the best preserved Atari Jaguar console I have ever seen online, along with an equally fine and actually working Jaguar CD, have been bundled up in this most impressive Atari Jaguar & CD eBay auction. 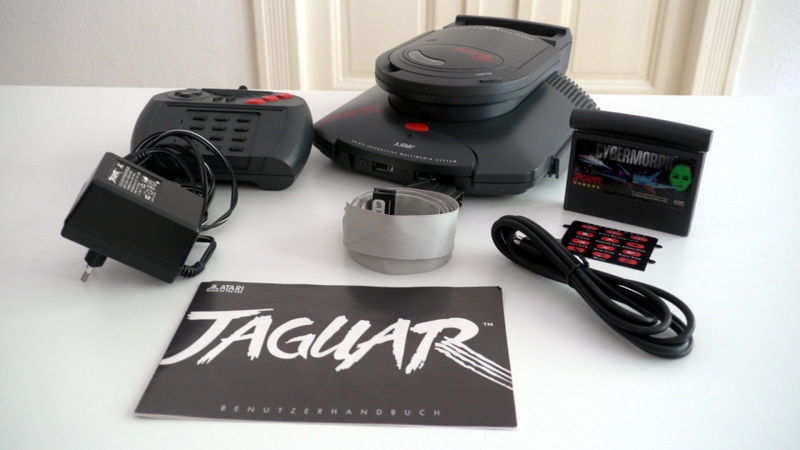 Both the console and the add-on come complete in their original, PAL version boxes, and the only thing missing is the Tempest 2000 soundtrack. All cables, a controller, the memory-card, PSUs, Vid Grid, Blue Lightning, Myst demo, Cybermorph, and assorted manuals are all included. Seller ships only within the EU.